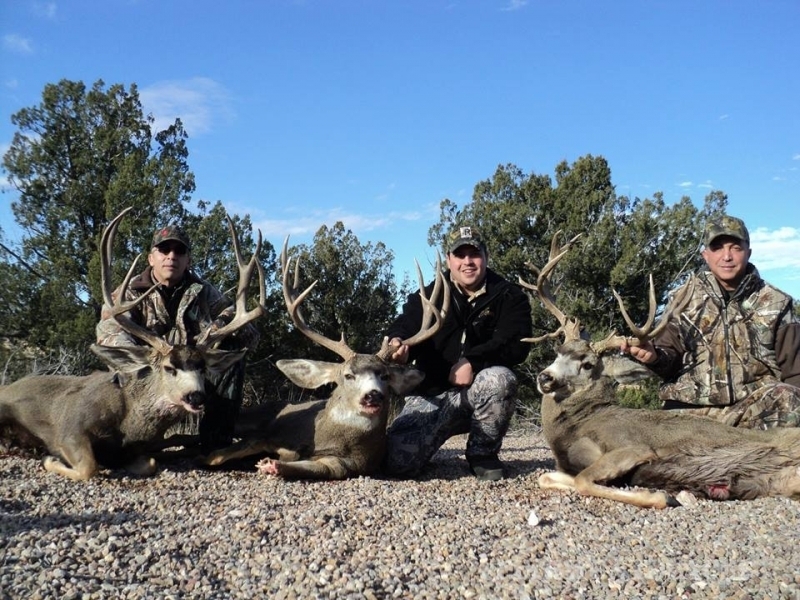 High Desert Ranch offers trophy class Desert Mule Deer hunting in the New Mexico prime high desert habitat. 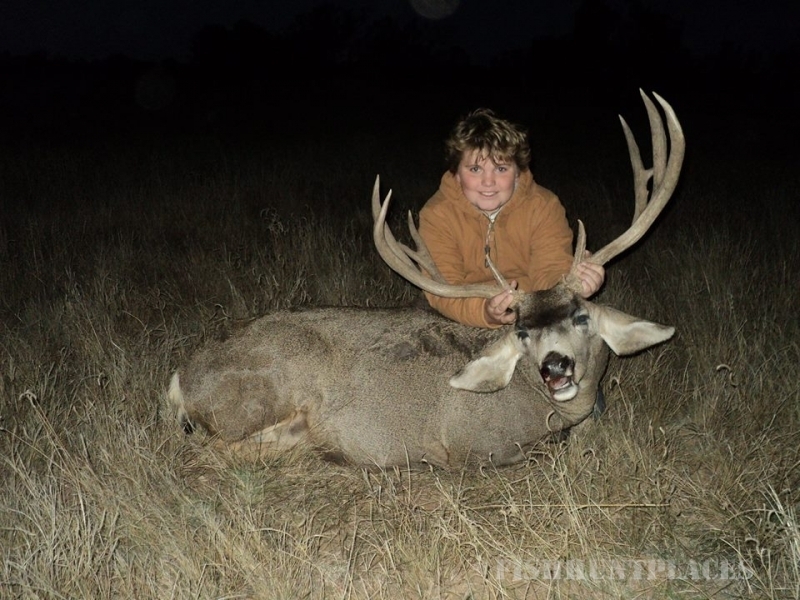 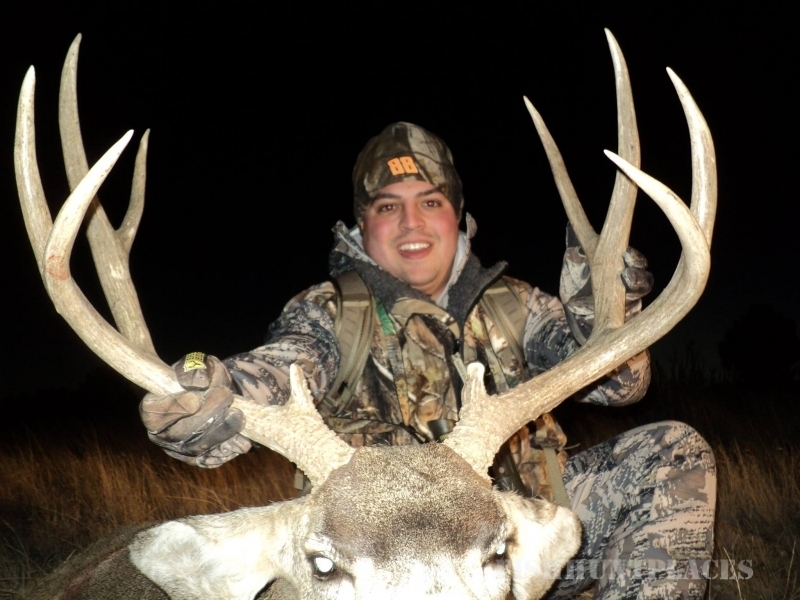 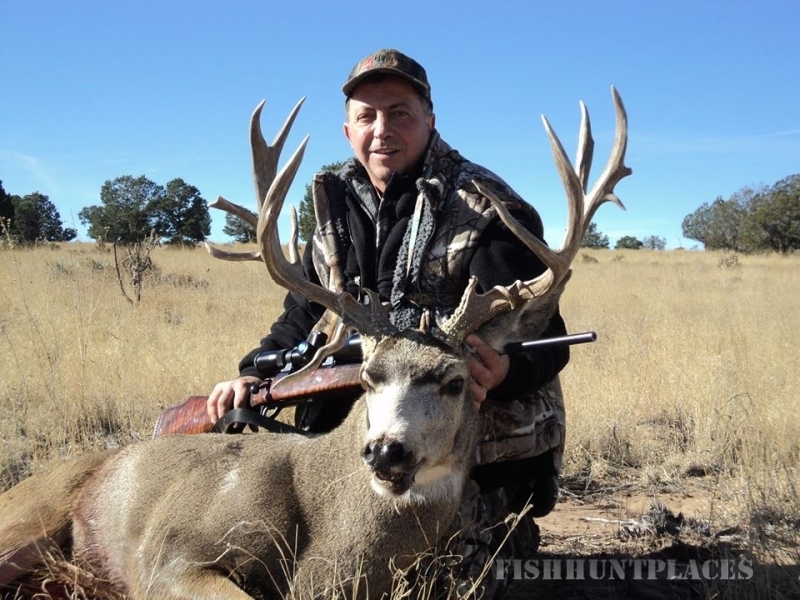 We have a managed mule deer herd that offers some of the best hunting in the world. 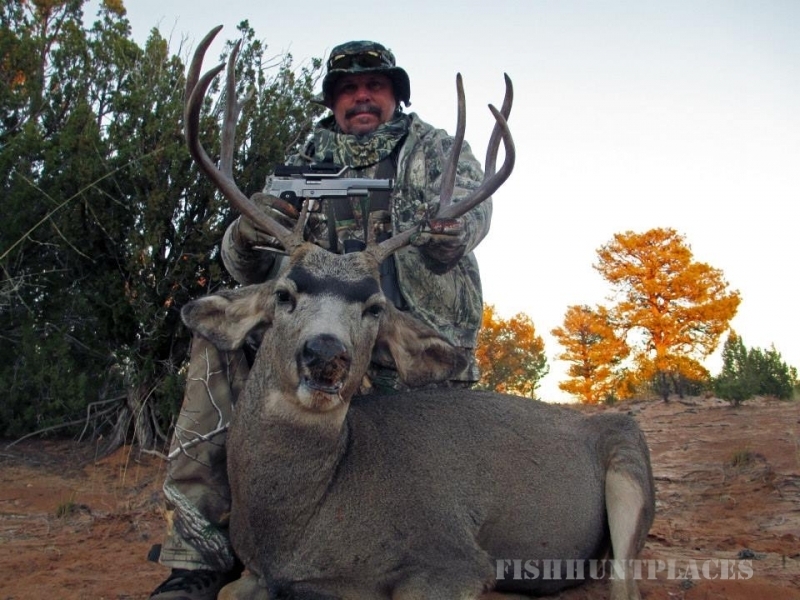 The desert mule deer is similar to the Rocky Mountain mule deer, although slightly smaller bodies, paler in color and with a smaller rump patch. 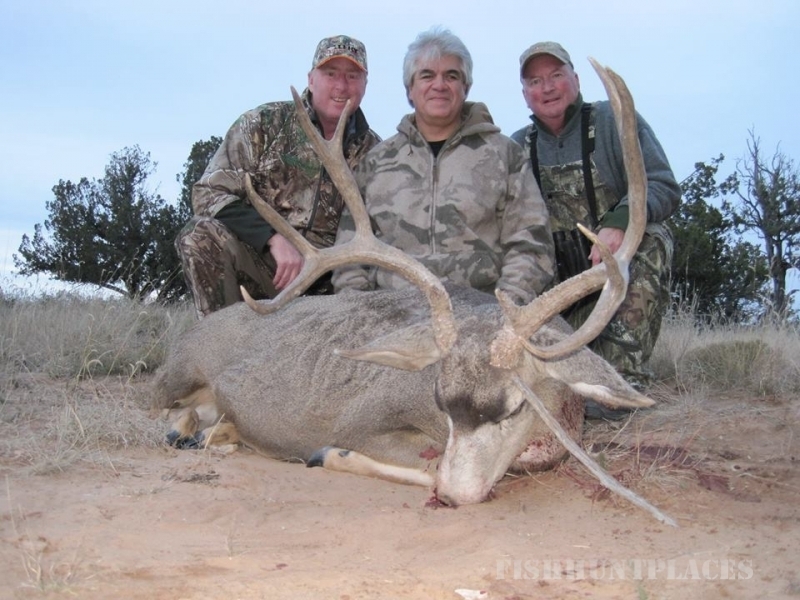 The typical desert mule deer has a comparatively small forehead patch and a dark line running partway down its tail. 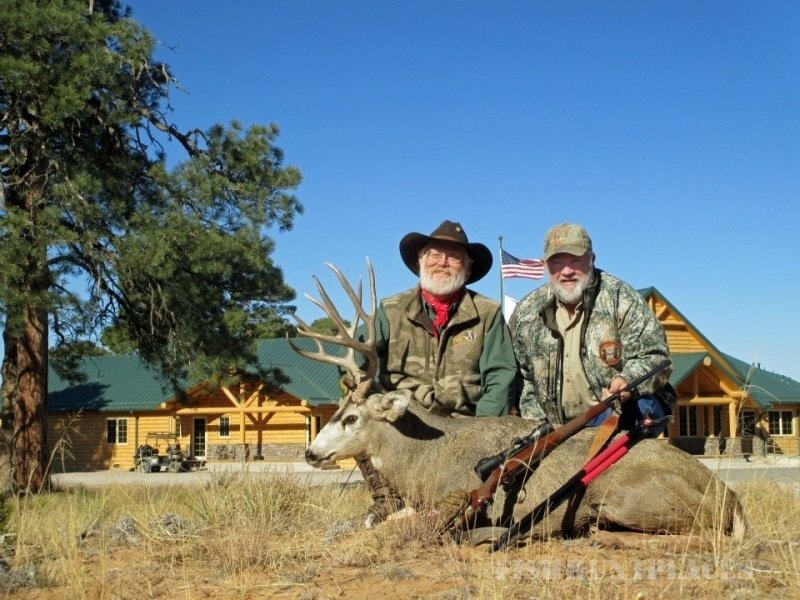 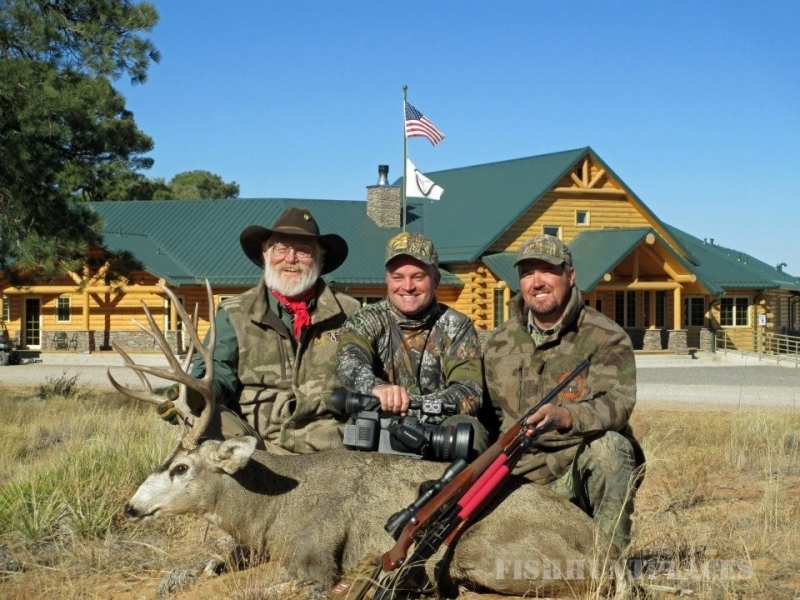 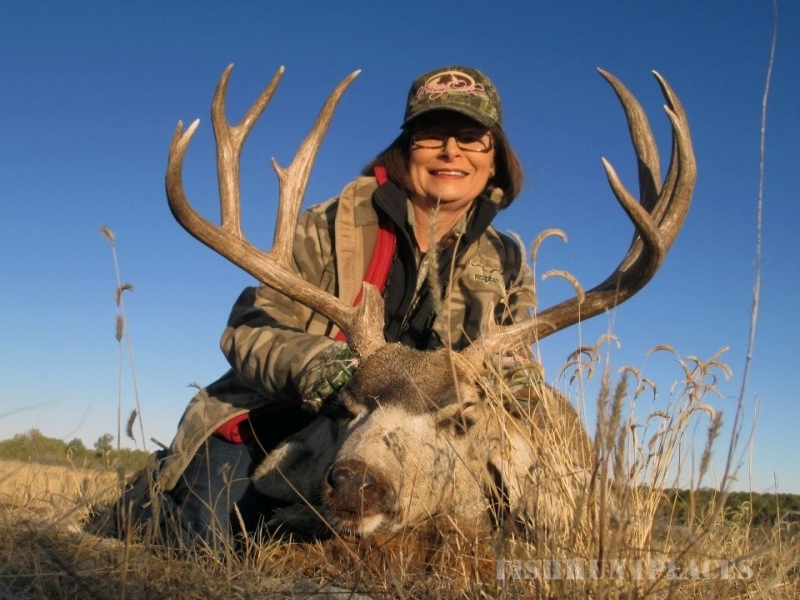 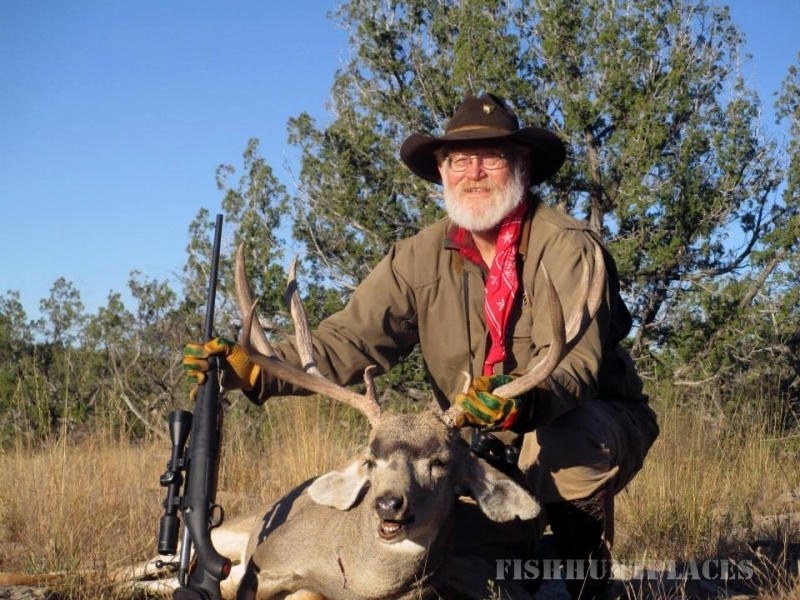 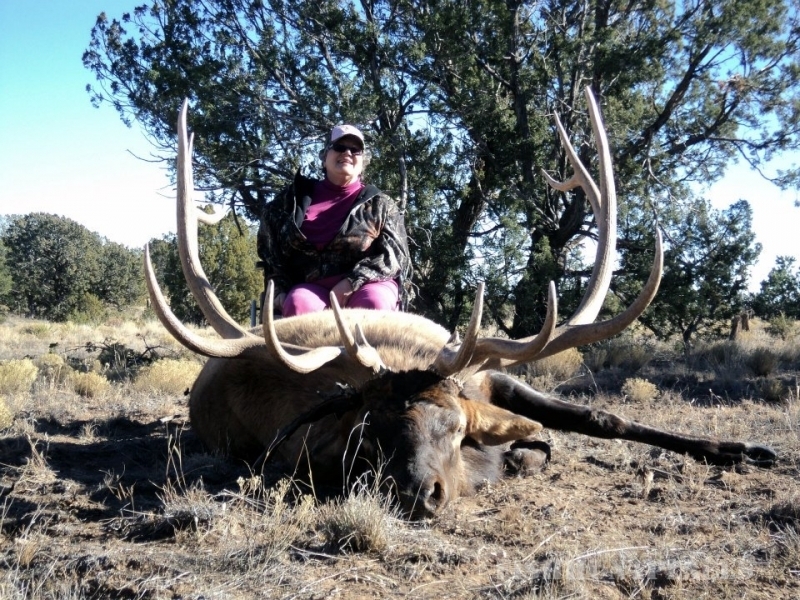 We offer first class Trophy class desert mule deer buck hunts, a tremendous lodge and facilities, beautiful hunting country and an outstanding staff of guides in east-central New Mexico located in the foothills of the Capitan mountains.